Subspecialties: Eyelid surgery (blepharoplasty), eye lift surgery, puffy eyelid surgery, Asian eyelid surgery, eyebrow lift, crow’s feet removal, brow bone reduction, Botox injection in forehead for frown line reduction, fat transfer, eye color change, dark circle surgery, artificial eye implants, thyroid eye disease treatment, entropion and ectropion repair, strabismus surgery. Dr Bahmani received his high school diploma in Gachsaran, Southwest Iran. He attended Shiraz University of Medical Sciences to study general medicine. After receiving his MD in Shiraz, Dr Bahmani Kashkouli went to Tehran University of Medical Sciences (TUMS) to pass his residency in ophthalmology. During his residency, Dr Bahmani Kashkouli was trained in eye surgeries including surgery of tissues surrounding the eyes. After completing his residency, Dr Bahmani served a two-year term in his hometown Gachsaran in his private clinic as well as the National Iranian Oil Company hospital. After that, he returned to Tehran to complete a fellowship in plastic and reconstructive eye surgery. 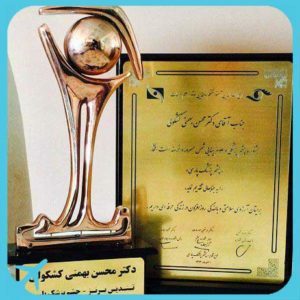 He finished fellowships in ophthalmic plastic and reconstructive surgery at Farabi and Labbafinejad hospitals. Dr Bahmani Kashkouli established an oculoplastic unit in Rasoul Akram hospital, affiliated to TUMS, during that time. After a few years, Dr Bahmani Kashkouli headed to the UK to pass another fellowship in ophthalmic plastic and reconstructive surgery. Dr Bahmani Kashkouli successfully finished a 13-month fellowship in orbit and lacrimal drainage system under the supervision of Dr Beigi, a Fellowship of the Royal Colleges of Surgeons (FRCS), and an FRCOphth at Norwich University Hospital. He got professional training in cataract surgery and phacoemulsification under topical anesthesia in the UK. He also passed a training course in endoscopic lacrimal surgery in Ipswich, UK. Dr Bahmani Kashkouli is currently an associate professor of clinical ophthalmology at Rasoul Akram Hospital, a well-known hospital in ophthalmology, affiliated to TUMS. He has focused his expertise on ophthalmic plastic and reconstructive surgery such as blepharoplasty. Scientific Reviewer for the journal of “Middle East African Journal of Ophthalmology, MEAJO”, 2009-2010. 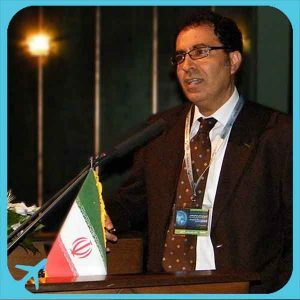 Scientific Reviewer for the journal of the Iranian Society of Ophthalmology, 2000-present.